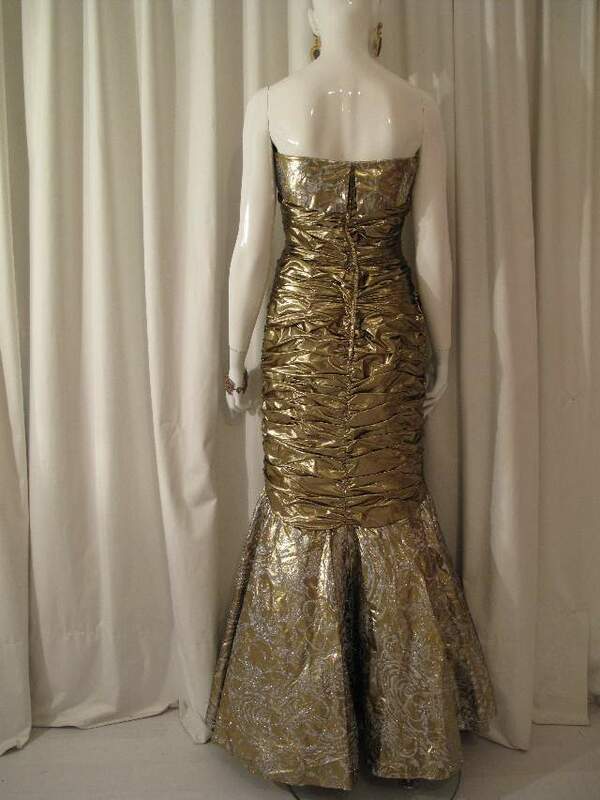 1980's Gold lame Mermaid vintage gown with matching evening jacket. 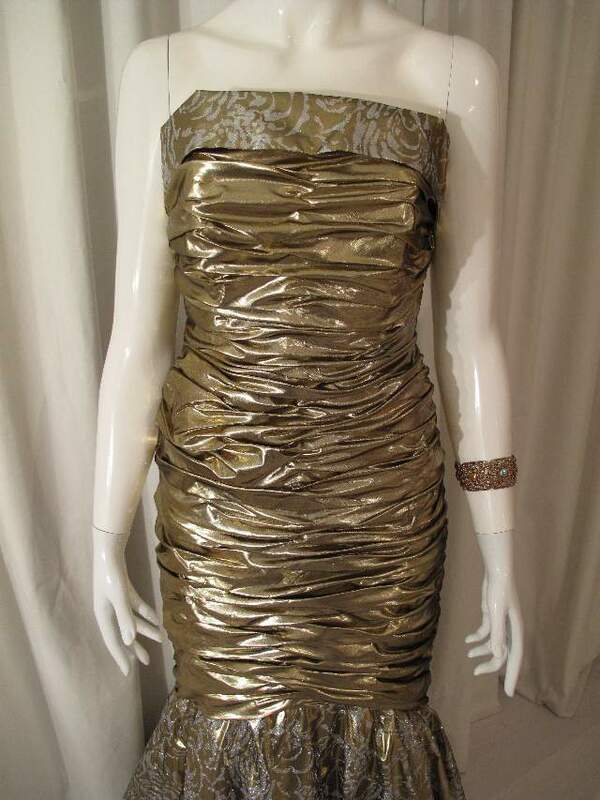 Strapless, boned gold lame fitted dress with folded band at bust that is silver glitter flocked with a swirly floral design. 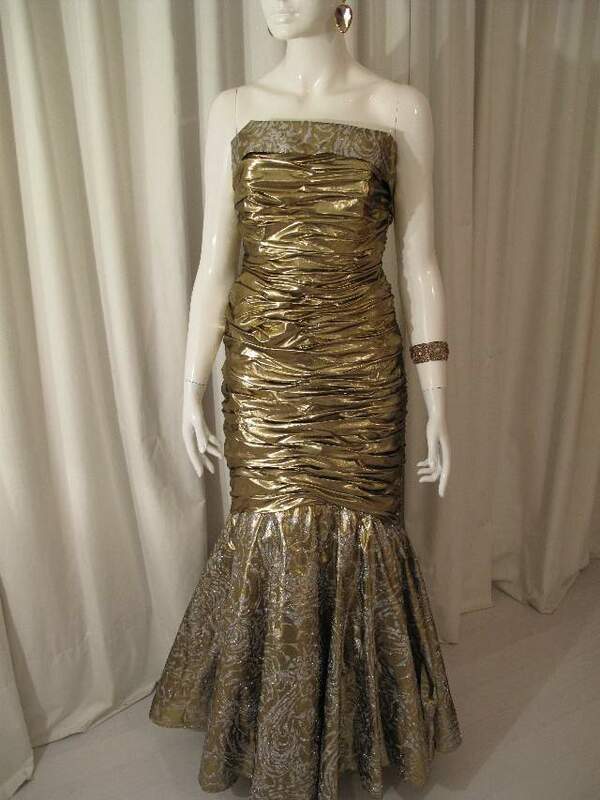 The dress is tightly fitted to above the knee, then flares out with a circular cut mermaid frill of silver flocked glitter print that matches the bust detail. There is a layer of netting underneath to make the frill stand out , with a further underskirt of acetate, with a puffball hem to give even more fullness. There is a back zip fastening. 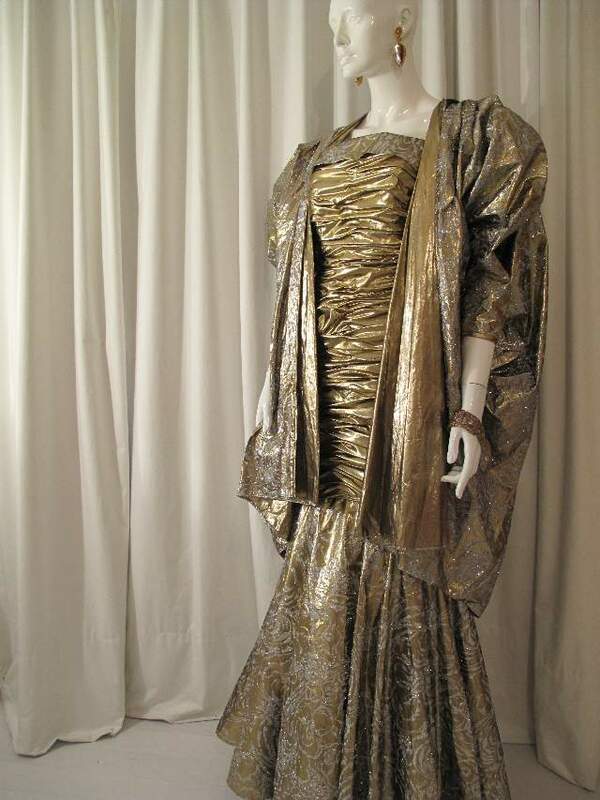 There is also a matching jacket, circular cut with huge dolman sleeves that drape and move beautifully. 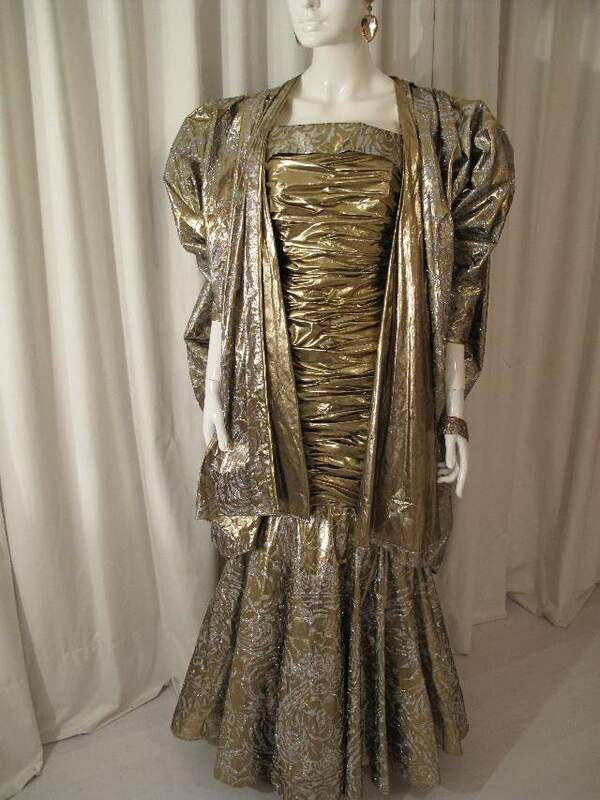 This 1980's extravaganza is not for the shy and retiring. 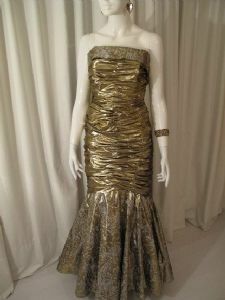 It has the 'wow factor' and looks as though it has just walked off the set of Dynasty! A = 137 cms top of bodice, at bust to top of hem.